How does a warehouse manager plan the most optimal routes for delivering 5000 shipments in a day with 500 bike riders to various parts of the city? The task of assigning specific packets and most optimal route suggestions to each rider is a very complex task, especially as the volume of shipments or geographic region expands. Imagine the same daily life challenge in the pure mathematical or statistical notations, there will be ‘n’ number of workforce moving through ‘m’ nodal points through ‘x’ routes to meet ‘y’ customers. Feeling lost? Yes, this happens in logistics industry too. This problem is known as Travelling Salesman Problem (TSP), a nightmare for organizations with a huge workforce. Mathematicians and computer scientists have been working on algorithms to solve the TSP or vehicle routing problem for over half a century now. FarEye’s team of research analysts and the data scientists have cracked the code and built industry’s most efficient auto-routing product. A mix of Artificial Intelligence and Machine-learning algorithms, FarEye’s routing system helps in optimizing the routes, at any point of the day - off-peak and peak traffic conditions, keeping anything and everything in consideration. The moment a shipment at the warehouse is ready for delivery, it needs to be assigned to a rider who covers the specific pin code area. The rider is expected to deliver parcels pertaining to his marked area following an optimum route. However, with perpetual demand for shorter turnaround time and higher shipment volumes, it is imperative that logistics companies utilize their capacity in a more effective and efficient manner. FarEye’s vehicle routing software can help them achieve by providing dynamic fleet management. 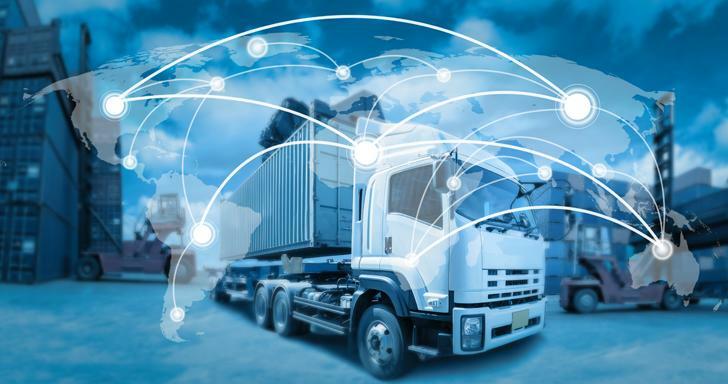 This means that the information such as vehicle type and capacity utilization, number of shipments that have to be delivered in a specific area, the available number of riders etc. is taken into considerations while planning the optimal route plans, simultaneously. It also takes into consideration the preferred time-slots and allows personalization of deliveries while routing the rider to the customer location. By having right software in place, the manager can also create different geofences that act as a guide for auto-routing his fleet. For example, Geofencing refers to the areas that should not be clubbed when creating routes. However, these are not static fences. The manager has rights to combine multiple geofences dynamically to optimize volume and load during a particular time period. FarEye’s routing systems are backed by artificial intelligence and machine learning algorithms that have the ability to self-learn the ‘correct’ address just from delivery addresses, success and failures in the past. In lighter terms, it converts lexical addresses into geographic coordinates (geocoding) as simple as latitude & longitudes, which are used to mark positions on a map. Once a delivery is done successfully on any address, next time, the system can fetch the address internally, so that the last mile connectivity will be faster and more accurate. With end-to-end data encryption and Mobile Device Management (MDM) the vehicle routing software is in compliance with the data security regulations. FarEye’s industry best-routing feature allows personalization of deliveries by giving the flexibility to the customers to select the preferred time-slot and the expected time of arrival (ETA) precisely. The intuitive mobile dashboard gives a comprehensive view to the rider to keep a tab on his pending jobs and the route that he needs to follow. 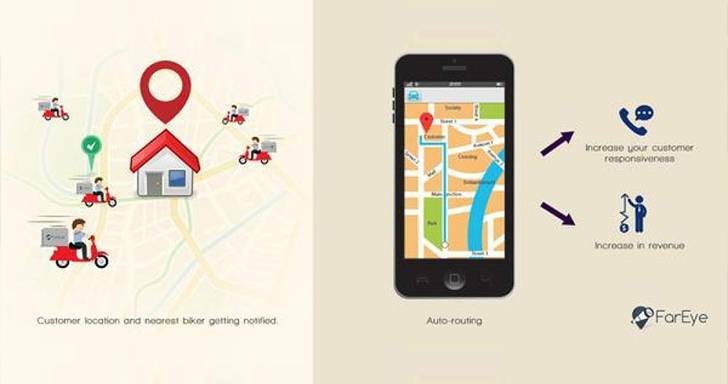 The native app also works in offline mode and is a reliable source for the riders working in the remote location. All these features of FarEye’s vehicle routing software solve the huge underlying challenge of the logistics industry- greater visibility. The software can help in better resource utilization and cost optimization for the manager, better performance for the rider, and above all, enhanced experience for the end customers. A win-win situation for everyone. 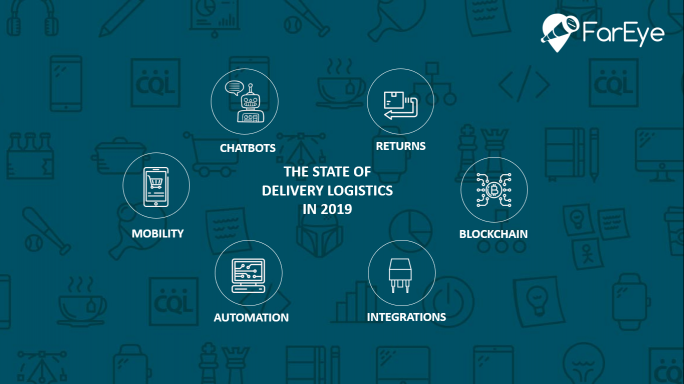 The state of delivery logistics in 2019 - What are the key trends shaping delivery logistics & how they are changing the game. The application of blockchain is set to increase in logistics operations especially with specific use-cases such as digital ledger, coordination of documents, order tracking & authentication. As much as 67% buyers decide if they should engage with a brand based on the returns experience.